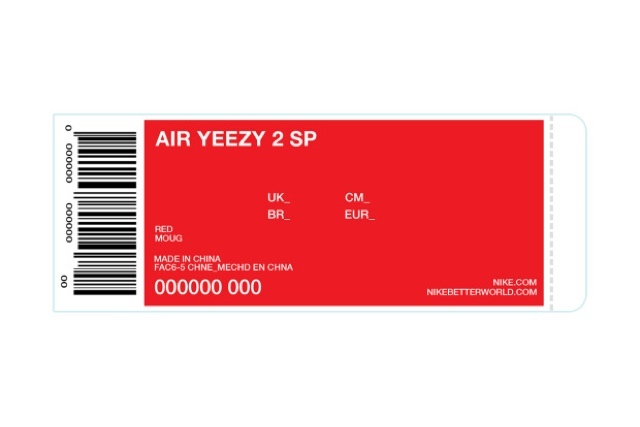 After much speculation regarding its availability, Kanye West acknowledges the upcoming release of his all red monochromatic Nike Air Yeezy II with an upcoming contest. A total of 50 pairs will be given away as was announced via his Twitter just recently. Below are a series of rules and directions while not all countries will be eligible to win. The contest begins on on Monday, June 24 at 9 a.m. PST and ends on Sunday, July 14 at 8:59 p.m, PST. Each week will contain three separate entry periods. Despite the ability to get a free pair of what will be another hotly contested shoes, no word yet of an official drop date. PRIZES: Each winner will win a pair of Air Yeezy 2 Shoes (Approximate Retail Value (“ARV”): $245.00 (USD) each. The amount of prizes awarded per Weekly Entry Period Drawing is as follows: Weekly Entry Period Drawing #1: Twenty (20) prizes are available to be awarded. Weekly Entry Period Drawing #2: Twenty (20) prizes are available to be awarded. Weekly Entry Period Drawing #3: Ten (10) prizes are available to be awarded. All taxes or other expenses not specified herein are not included and are each winner’s sole responsibility. Limit: One prize per person or household. If actual ARV of prize is lower than the stated ARV when prize is fulfilled, then the difference will not be awarded. Arrangements for the fulfillment of any prize will be made by Sponsor and/or its designated agent. No substitution of any prize offered, no transfer of any prize to a third party is permitted and prizes may not be redeemed for cash value, except by Sponsor, who reserves the right in its sole discretion to substitute any prize for a prize of comparable or greater value. Taxes are the responsibility of each winner.